1.90" Aviation marine grade 6061 T6 extruded and anodized aluminum. Patented design folds down for lower clearance areas. Installs in hours and perfect for those ‘DIY'ers! Installation video and Fishmaster Sales Team available for added support. Marine Grade UV Resistant Sunbrella® fabric available in 9 Colors. Guaranteed or your money back. Love it or return it! Complete with 5 year warranty; unlike other, less expensive t-tops! Designed with the boater in mind, our Fishmaster T-Top is bound to be your first mate. 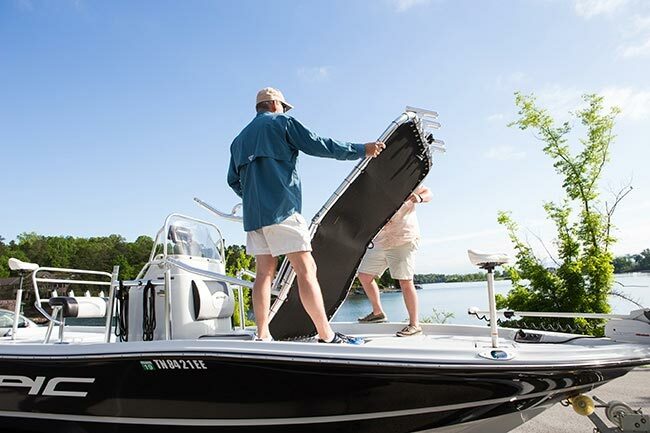 Using Fishmaster Patent #7418918, this folding t-top is crafted with a second fold in the canvas, which aids in easy storage. When you are ready to get back on the water, simply unfold the top to provide instant protection against sun or rain. 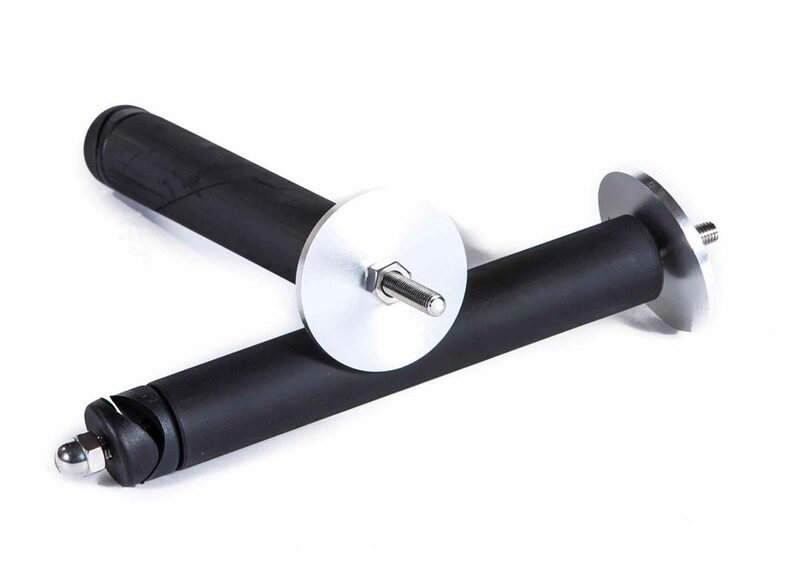 For added folding ease, we recommend purchasing our quick release knobs, part number SOF003. Ideal for areas such as dry dock storage, utility or garage storage, water access under bridges, and other low clearance problems. Folds without interfering with ice chest, cooler seats, or storage compartments. Fits any center console boat 24” to 50” wide. Fishmaster T-Tops are made of 1.90" Aviation and Marine grade 6061-T6 extruded aluminum. This material yields a ttop structure that is strong enough to handle choppy waters while being light enough for an easy fold. To protect against degradation of the outdoors these are bright dipped and anodized providing high luster polished finish. Hard to imagine this level of quality can come from a couple boxes that are shipped to your door step in just a couple corrugated cartons! 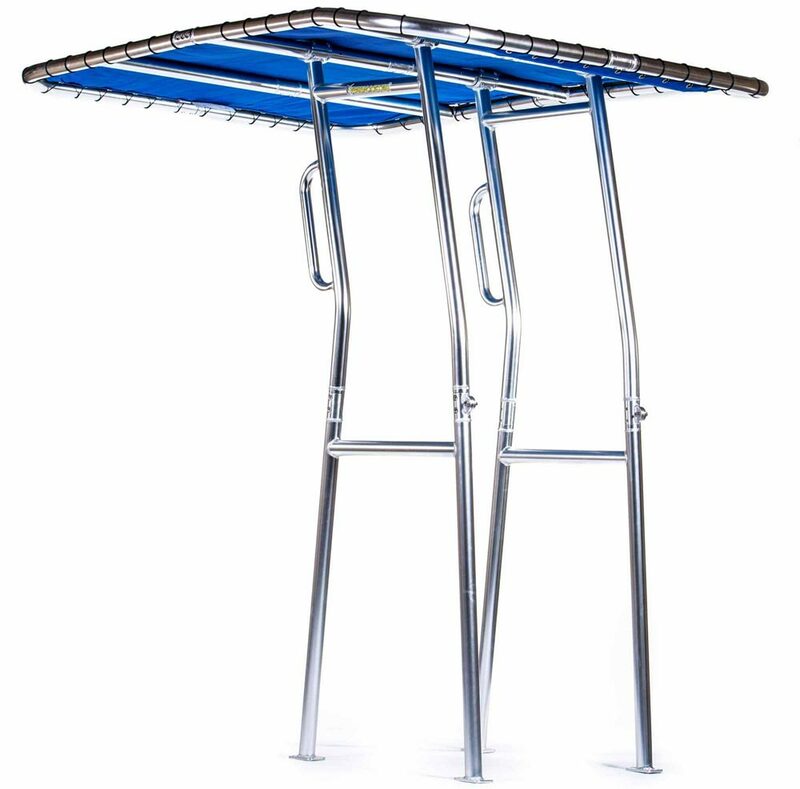 Canopy made with marine grade UV Resistant Sunbrella® acrylic fabric available in 9 Colors. Do It Yourself with easy to follow 5 minute video. On all mounting bolts be certain to use anti-sieze to avoid gauling or problem. All bolts are 316 stainless steel to protect against corrosion. This is the same quality used in surgical medical instruments; nothing but the best! 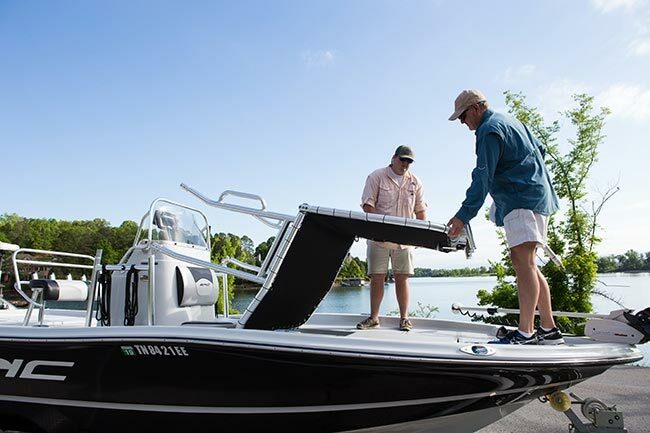 Check out our Fishmaster Dealer Locator and get your T-Top installed by a service professional. Billet machined clamps and tubes. Extruded for a strong final product. Original Equipment Manufacturing processes ensure that our facilities provide consistent and reliable welds. We provide a serial number with each ttop to track the care and skilled craftmanship you would expect. How many other brands can claim they make a product that is standard on boat companies? The canvas T-Top cover is manufactured from Sunbrella® material with brass grommets that provide a guide to fasten to the tower structure. Rope lashing is included to securely hold this canopy canvas in place. Cordage is constructed of twisted black nylon 6 material that has a high yield strength. 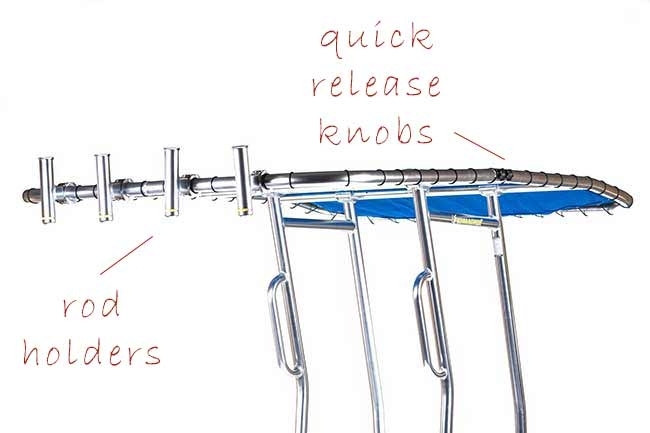 Not only do all orders of Fishmater T-Tops come with a free storage pack, Fishmaster ttops are now conveniently constructed with resilient grab handles. We weld on dedicated grab handles on both sides, so you and your passengers can always get a comfortable grip when the seas kick up. Each order also includes 3M part number 5200 adhesive for installation. 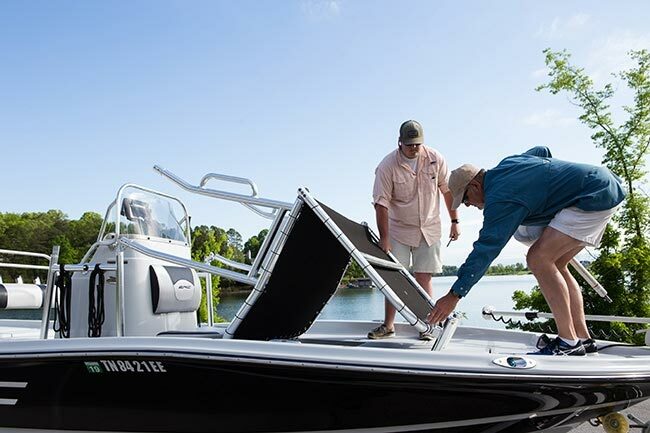 Fishmaster T-Tops come complete with side stand-offs support that can be mounted to center console for lateral structure strength. Mounting hardware kit includes 304 stainless steel bolts and nuts. This carefully considered feature is not found on most t-tops on the market. 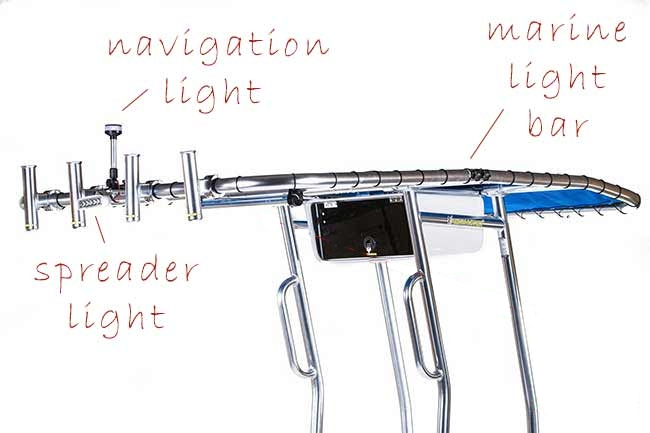 USCG requires lighting at the highest point of your boat, so make sure to use our mounting bracket to simply add a navigation light. Rod holders bolt on quickly with 1.90" unique swivel design clamp. Rocket launchers are universal and fits most tubing. 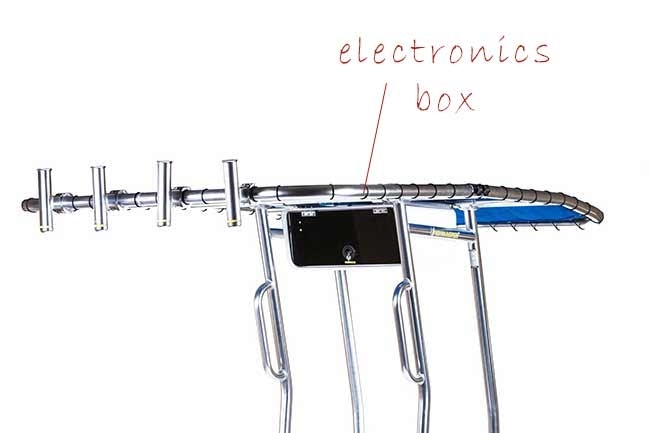 Opting for an electronics box gives you a dry, protected spot for mounting electronics and stowing extra gear. From Actioncraft to Xpress, we have a folder of photos with our ttop on your boat's make and model.